The School of Biological Sciences offers graduate training in a collaborative environment with several schools and graduate programs. This provides excellent research training and professional development for graduate students pursuing the doctorate. Training opportunities include broad areas of Biological, Biomedical and Environmental Sciences including Neuroscience, Immunology and Pathogenesis, Cancer Biology, Developmental and Stem Cell Biology, Systems and Computational Biology, Genomics, Structural Biology, Ecology, and Evolutionary Biology. Ecology and Evolutionary Biology Ph.D. The Department of Ecology and Evolutionary Biology is home to 38 faculty and about 60 doctoral students. 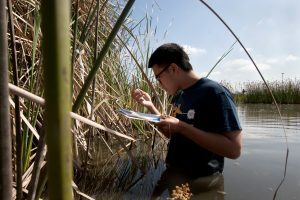 Research in Ecology and Evolutionary Biology uses a range of methodologies spanning field studies, experimental approaches, and computational approaches. Students and faculty have easy access to field sites that include marine, desert, and California chaparral communities. The faculty have diverse interests including evolutionary biology, population genetics, genomics, behavioral ecology, physiology, and global change biology. Faculty in Ecology and Evolutionary Biology have extensive collaborations with scientists in neuroscience, molecular biology, genomics and microbiomes, global climate biology, systems biology, mathematics, as well as with faculty at other institutions. Gateway programs offer admission to the doctoral programs affiliated with the Schools of Biological Sciences, Medicine, Physical Sciences, Engineering and Information & Computer Science. Students enroll for the first academic year while they do lab rotations and take required coursework. Then, students select a thesis advisor and transfer to a department and complete remaining degree requirements. Gateway programs offer students excellent opportunities to perform laboratory rotations with any of a large number of faculty participants in that program, and in many areas of biological sciences. The PhD program in Cellular & Molecular Biosciences (CMB) at UC Irvine provides ideal training to launch the careers of talented researchers in diverse fields of biological and biomedical sciences. With five different study focuses, the CMB PhD program gears future scientists to be ready for a diverse field. The program offers a rigorous but flexible curriculum with an extensive choice of laboratories and allows students to tailor their training to individual interests and goals. Outstanding facilities, a collaborative culture, a commitment to diversity, and guaranteed on-campus housing all contribute to a productive graduate experience. Applicants receive full financial support that covers tuition, a generous stipend, and health insurance. For more information, please visit the CMB website. Neuroscience is an inherently broad and multidisciplinary area of scientific pursuit and scholarship. It has intellectual links to fields as diverse as developmental and cell biology, molecular biology, physiology, pharmacology, anatomy, psychology, computer science, and physics. 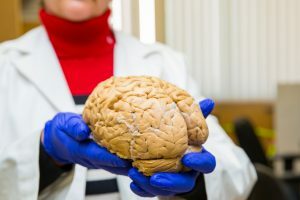 The substantial breadth of Neuroscience is one of its strengths as a discipline, and one of the features that makes it an attractive and important area for graduate study. The Interdepartmental Neuroscience Program (INP) provides a vehicle for meeting the diversity and challenges of graduate training in such a broad discipline. Neuroscience faculty from several departments and schools that represent many broad areas of research participate in the INP. Students may train with any participating faculty member and are exposed to a variety of approaches before deciding on a research area for focused dissertation work. After the initial year of academic coursework and laboratory rotations, students join the more specialized graduate program of their chosen thesis advisor. Mathematical, Computational, and Systems Biology Ph.D. 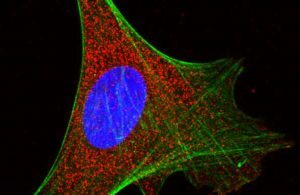 The goal of UCI’s program in Mathematical, Computational and Systems Biology (MCSB) is to provide students from a variety of academic backgrounds with doctoral training suitable for research careers in the nascent field of Systems Biology. The program emphasizes in-depth classroom study, interdisciplinary research rotations, and individualized advising. 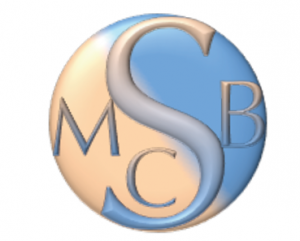 The MCSB Program is supported by funding from UCI’s Graduate Division, by a National Institute of General Medical Sciences grant to the UCI Center for Complex Biological Systems, and an NIH Training Grant. The program begins with an initial “gateway” year, known as the Mathematical and Computational Biology (MCB) program, during which students receive basic training in principles of biology, as well as in mathematics, engineering and computer science. Students also participate in research rotations, workshops, and directed reading of the Systems Biology literature. Upon successful completion of the MCB year, students select a thesis advisor and complete the doctorate in departments throughout the biological, physical and information sciences and engineering. Students also have the option to complete a Doctorate in Mathematical Computational and Systems Biology directly from the MCSB program. The MCSB Gateway program provides complete financial support to admitted students during the first year, which includes an annual stipend, as well as full tuition and fee remission, including health benefits.